It is understandable that the 1855 classification didn’t incorporate St Emilion and Pomerol, the now short drive from the Medoc to Libourne must have taken an age using the waterways or horse and cart. It is however somewhat inexcusable that the wines of the Graves were overlooked. 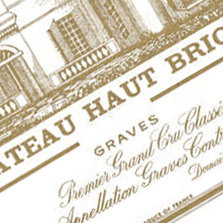 Haut Brion is the notable exception as the only wine from Pessac-Leognon recognised by the merchants in 1855. Distance surely couldn’t have been used as an excuse... It seems even more extraordinary given the quality of wines such as La Mission Haut Brion, Pape Clement, Domaine de Chevalier and Haut Bailly today. There appears to be some confusion over when the wines of the Graves were actually classified. The original list is reported to have emerged in 1953, however, it was amended in 1958 and was finally ratified in 1959. The 1959 classification is really totally ineffectual and almost worthless to Chateaux and consumer alike. It is simply a non-tiered list of whites and reds, with several notable omissions. Haut Brion sits shoulder to shoulder with Chateau Olivier. Clearly this classification would benefit from a little reworking.